When I’m even older and crustier than I am now, there’ll be times, I’m sure, when I sit in the garden and remember life highlights. 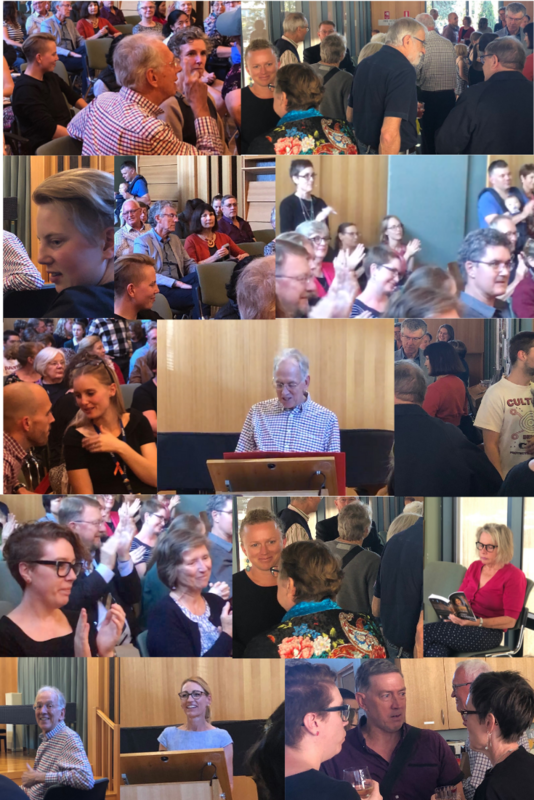 One of the memories I’ll return to often will be Tuesday 26 March, 2019, when 95 family members, friends, former colleagues and students came to the Wesley Music Centre in Canberra to help me celebrate the launch of The Worlds of Harriet Henderson. Since then a number of people - thank you to Cathy Shann, Hannah Wellman and Maddy Andrews - have sent me video of the speeches. Here, in bite-sized portions, is my collection of sections of the formal part of the evening.